Last night I rugged up to take the train to the city for Melbourne's White Night light show. 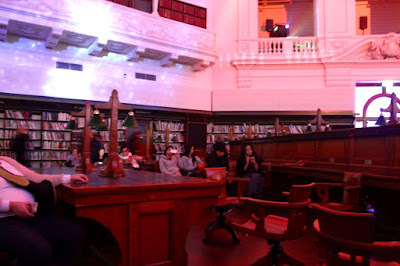 I went to the State Library this year. 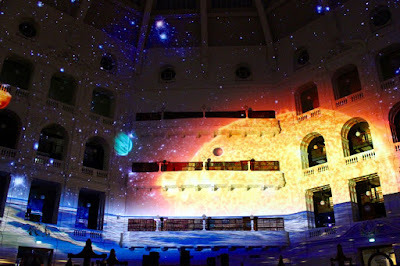 The queue was long and took about 30 minutes but it was worth the while as the nice young man behind me convinced me. 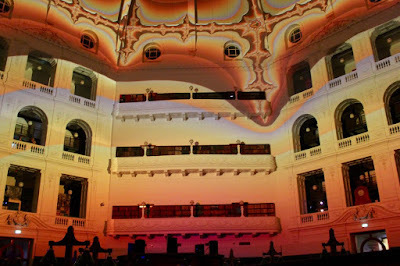 Once I ascended the heritage staircase into the magnificent domed reading room, it was a magical world of dreamy images and ambient music. The light show was full of images of learning and knowledge. 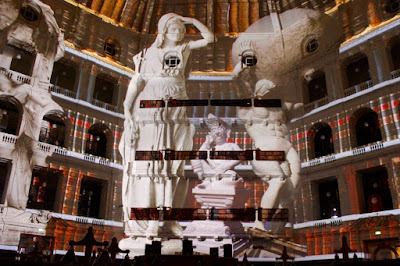 Classical statues, texts from around the world, the solar system. 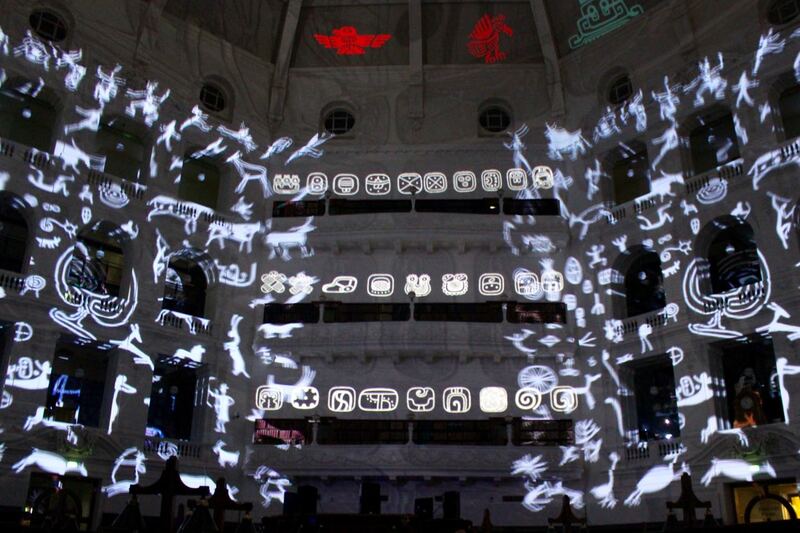 maps, chemistry diagrams, zodiac symbols, nature, indigenous artwork. 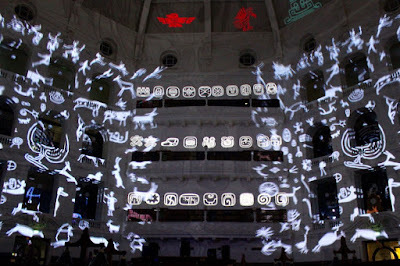 It was so peaceful sitting in the old wooden chairs watching the constantly moving images. I could have stayed there all night. I went because I had to get home and I knew others were queuing to come in. Then out into the frenzy of the crowds at the front of the State Library and the loud intrusion of the DJ into my peace. 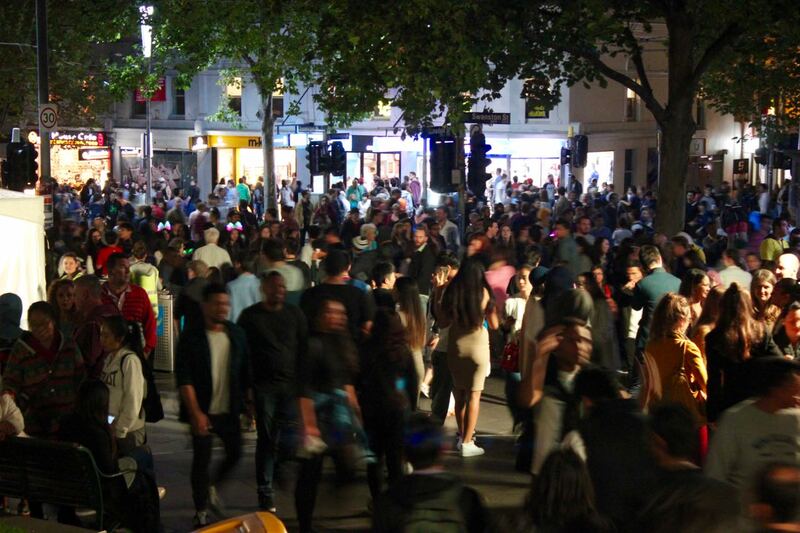 The crowds in Swanston Street were thick. There were many other light shows in the city I would have loved to see but time was not on my side. 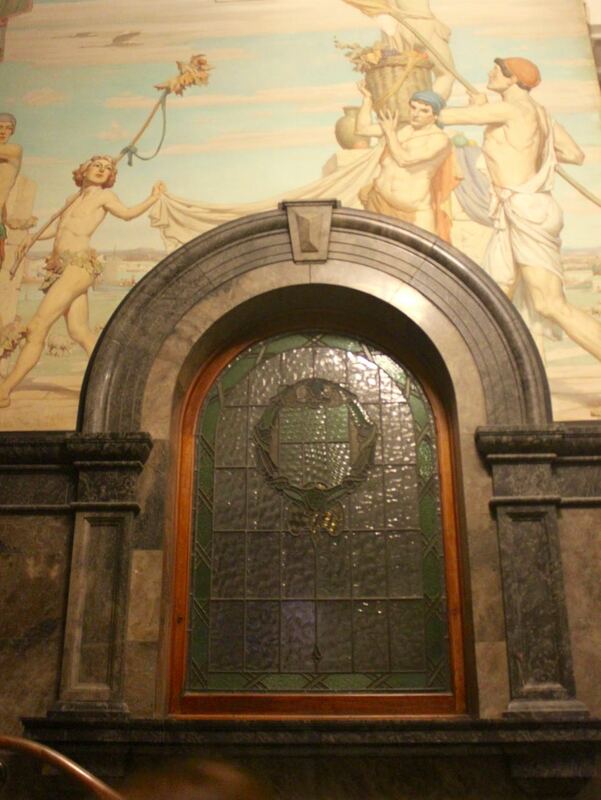 Instead I boarded a train for home. 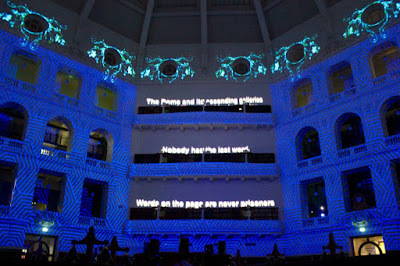 I was very glad to have had the opportunity to see the State Library show. 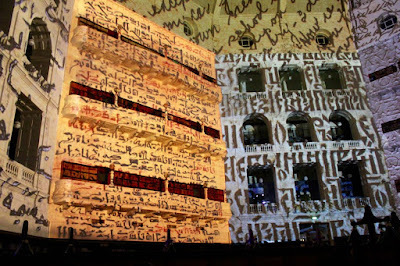 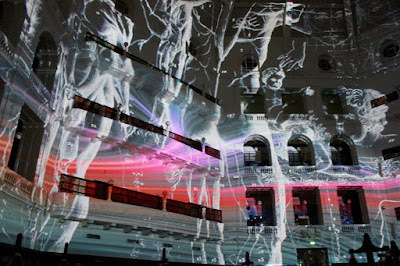 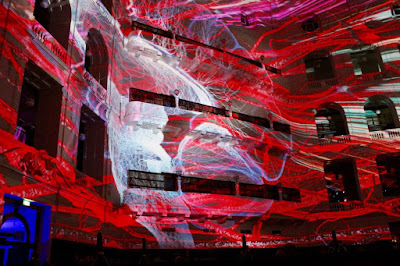 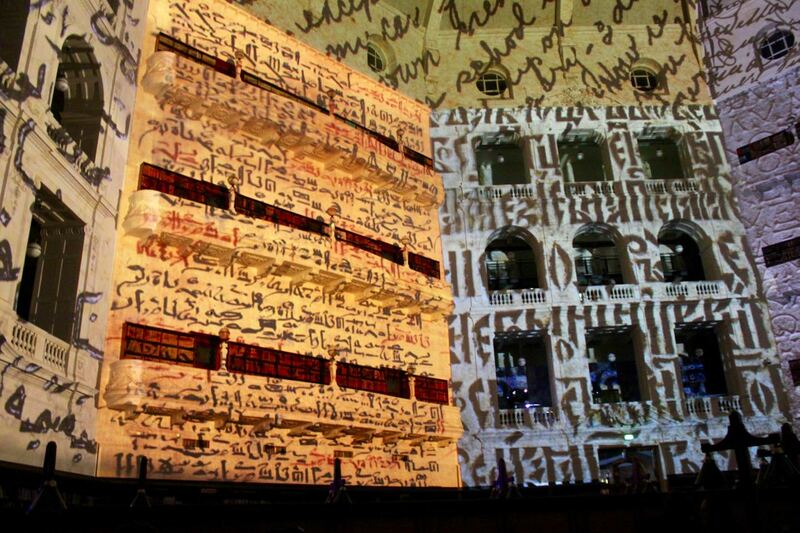 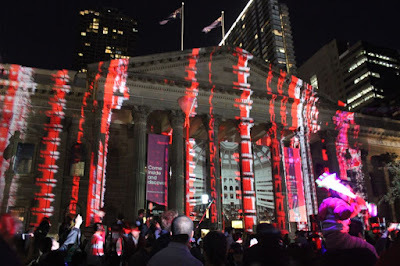 Read about my visit to White Night Melbourne 2015. 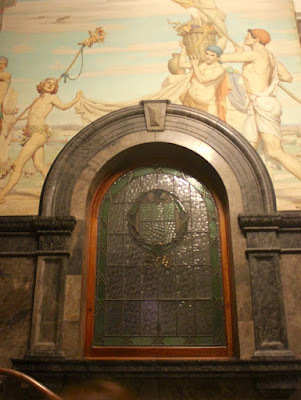 You are braver than me Johanna. 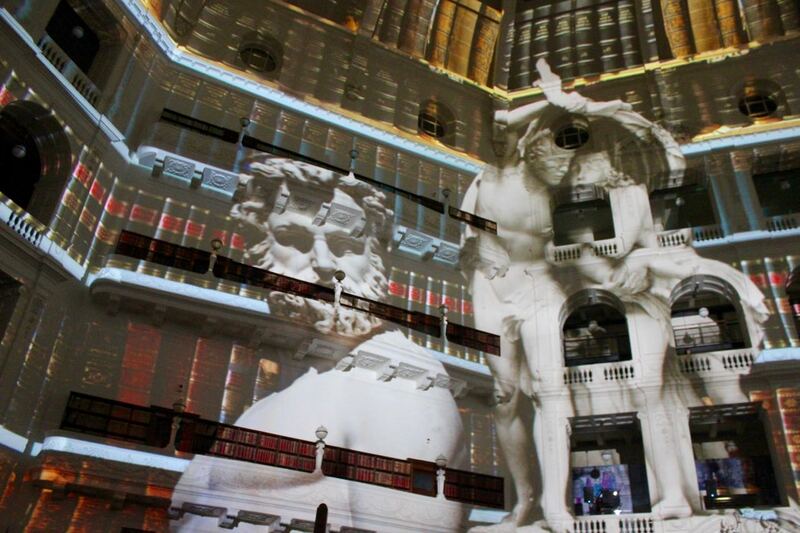 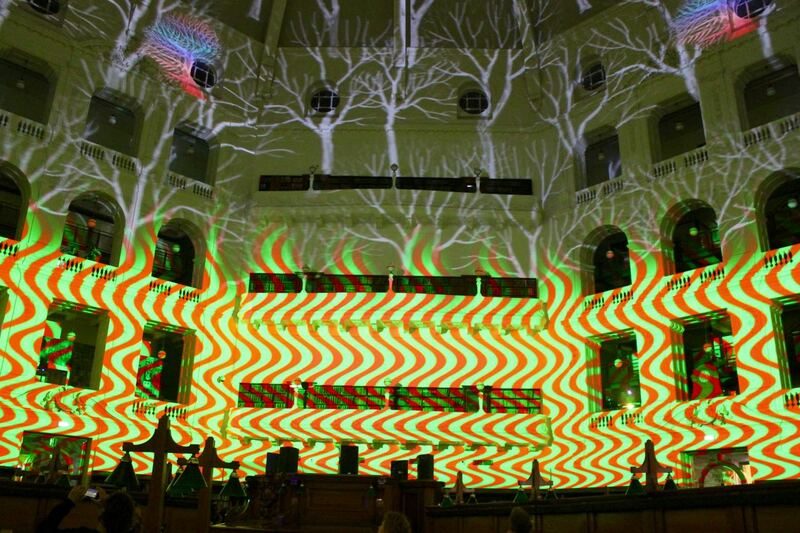 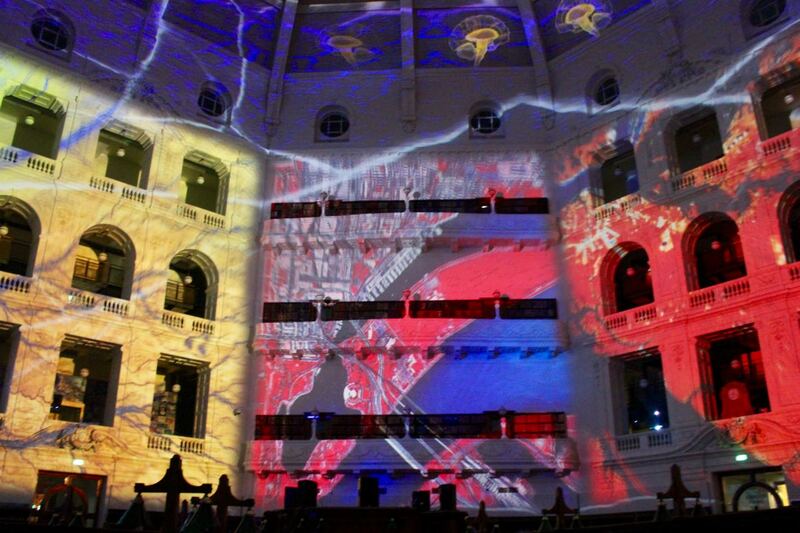 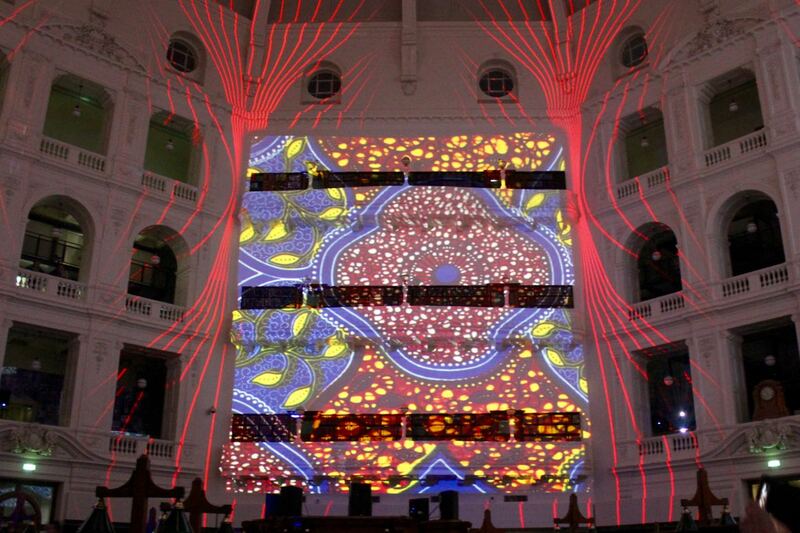 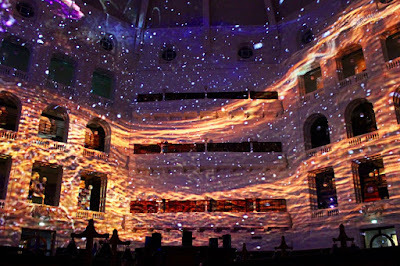 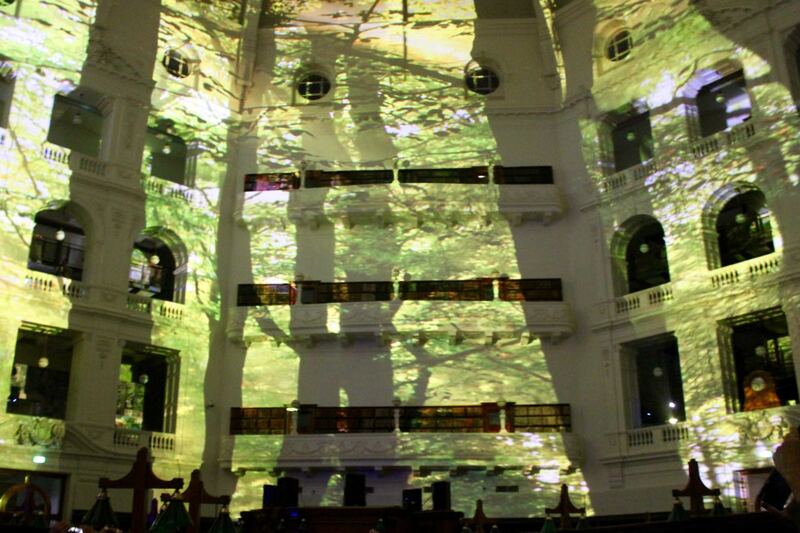 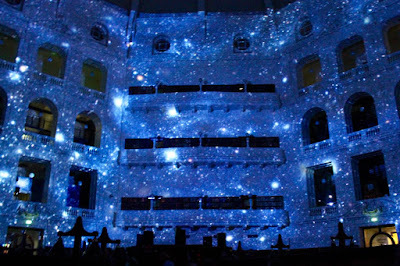 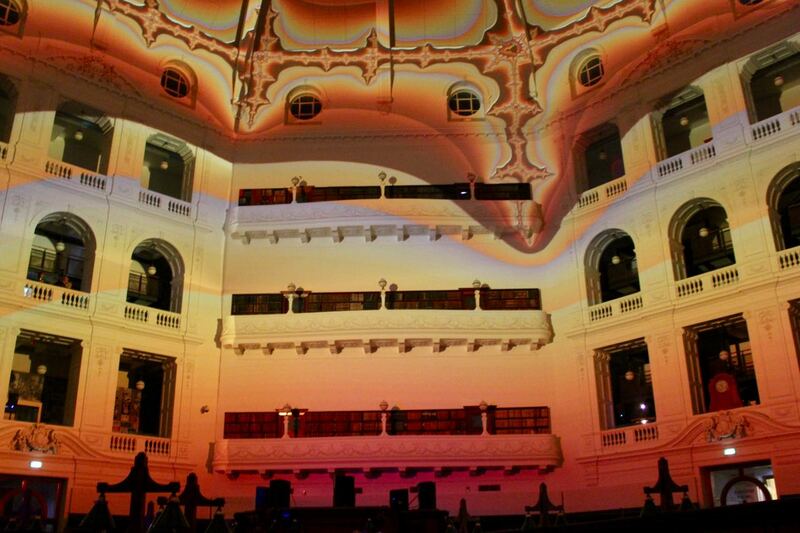 Glad you enjoyed it - thanks for the peek at the State Library light show.